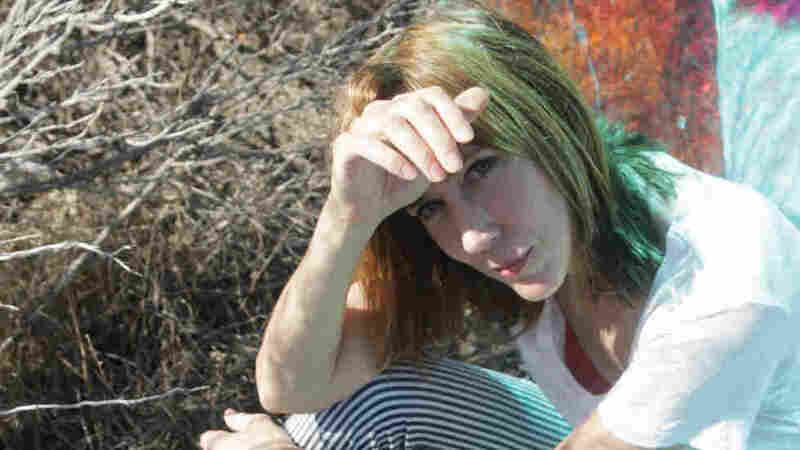 At Mid-Career, Beth Orton Shakes Off Expectation The British songwriter began her career in 1999 with an album that was a breakout success. Years later, she says she looks on that younger version of herself with the protectiveness of a big sister. Beth Orton's latest album is called Kidsticks. Beth Orton feels a certain amount of pressure when it comes to her music. The British singer songwriter had huge success with her first album, Trailer Park, back in 1999, and for a while she was on a roll: more album sales, more touring, more fame. It wasn't, she says, altogether comfortable for her. "I have this theory that I was the soundtrack to people's past, and that's kind of an awkward thing to be," she says. "People have had deep experiences to your music; how do you move on from there, and how can anyone ever forgive you if you do? It's a huge responsibility to have meant something, and it's a huge honor, obviously. I was amazed that it touched people. But at a certain point, I get people saying, 'You used to sing like this ...' It's like, dude, I don't sing like that anymore! I'm much older, and I have a much different experience." Orton's latest album, Kidsticks, seems to shed some of that weight of expectation. There's a sunniness sprinkled through the songs, which were recorded in a period when Orton had moved her family to the Laurel Canyon area of Los Angeles, and was feeling a rare lightness in her work-life balance. "For me, there was an ease to being a creative individual whilst having a family — and maybe that's to do with the weather: When you're carting your kids off somewhere, there's always somewhere lovely for them to go," she says. "But also, there wasn't this false stop to every day. The days would roll into the evenings, the evenings would roll into the nights. There was a flow to life there, and this kind of homespun nature of recording in people's garages, in their gardens; recording in my home, you know, on a computer." Orton spoke with NPR's Rachel Martin about the strangeness of evolving in public, and why she now looks at her younger self with the protectiveness of an older sister. Hear more of their conversation at the audio link.